Winecoff Fire reader R. Michael Murphy has shared with Winecoff.Org a poem his grandmother wrote after the loss of her fourteen year old daughter, Mary Lou Murphy, in the 1946 Winecoff Hotel fire. The poem offers a rare glimpse into a mother's heart. 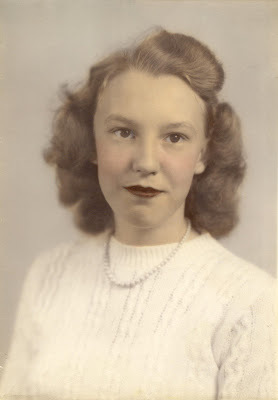 Pearl Murphy tells her daughter's life story but writes in the first person. Click here.